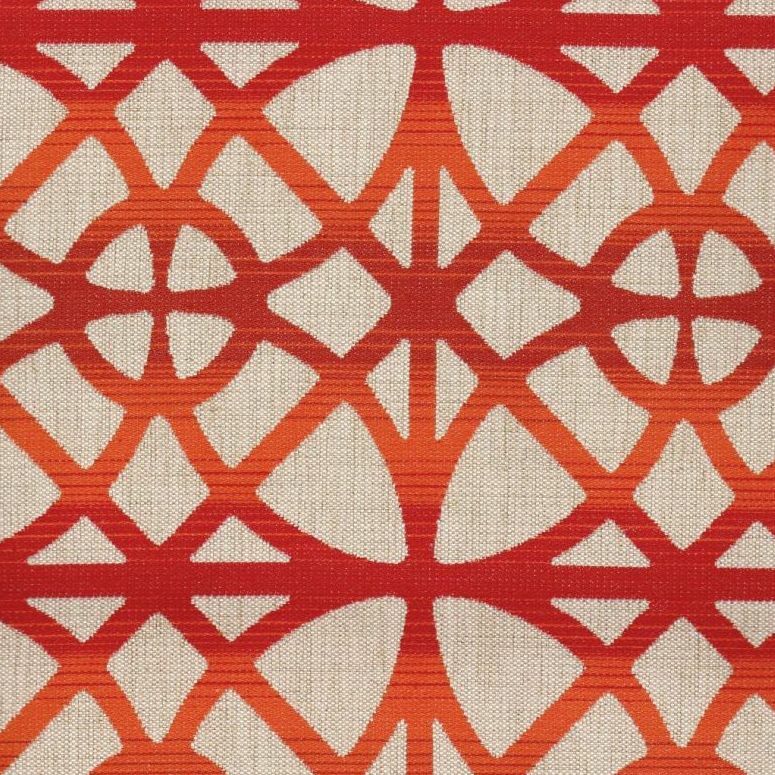 Athenia Sunset is a woven, contract grade, large scale, lattice design shown in Tomato Red and Pumpkin against a Sand background. The largest oval measures approximately seven and one quarter inches in height and seven inches in width. The overall pattern repeat is Vertical 7.09 inches and Horizontal 7.28 inches. With excellent durability and a stain and moisture protective finish, this fabric will work in Corporate, Healthcare, Hospitality, Educational and Residential settings where high traffic is a consideration. It is suitable for cornice boards, pillows, cushions, headboards and furniture upholstery.